^ "Quadrennial Defense Review Report." ^ "The 2018 Bomber and Its Friends." 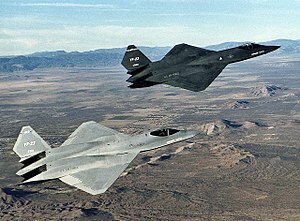 Northrop / McDonnell Douglas YF-23 A "Black Widow II"